@ Karthick01: Top speed-wise, yes. Can This Car Beat Nissan GT-R in Straight Line ?. You **** yourself, I hate you. Simulators, claims, and games of any kind aren't very desirable like real life testing. **** you, go to Vimulator and find out. @mandelabenz "0-60 mph: 2.4 Second,1/4 mile : 10.7 Secs at 115 mph,Source : Vimulator Stock? Yes". My 2010 Bentley Continental Supersports ran a low-11 second quarter mile without modifications. GUYS forget EVERYTHING you guessed about how this car would perform because of it's size and weight. I just watched this car compeat in a competition against an Aston DBS V-12. Even though it was 1200 pounds heavier it killed the Aston V-12. It was the Aston with ALL the performance additions! This car is simply bullet proof! It out accelerated the lighter Aston V-12 like the Aston was standing still! 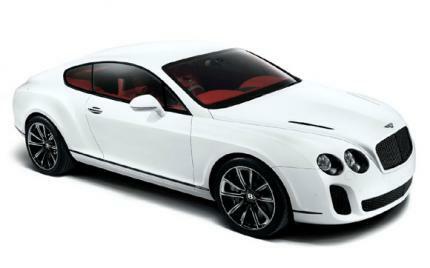 And at high speed crusing 165 m.p.h the Bentley was as solid as a ROCK! I want this car now MORE than the Ferrari 599. The W-12 engine was just brilliant in performance and bullet proof. Not as nimble as a 599 but no dought after seeing this t.v. show (SUPER CARS REVEALED) it's a MUCH better all around car. Price is $273,295 u.s. dollars. Wonder if this can break 8Mins at the Ring? 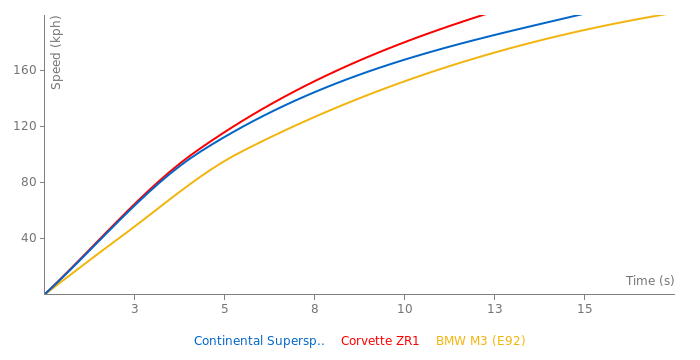 Or: Is there a heavier car with better laptimes? What a heavy luxury sedan! How do you know of Jay Leno over there? Anon do you know where "over there" actually is? Im quite Impressed with this car, but Red is the best color for it!! Top Gear Track LapTime Guess? Im curious about that myself. Can this beat the ZO6 in a straightline? all the way up to 186mph?